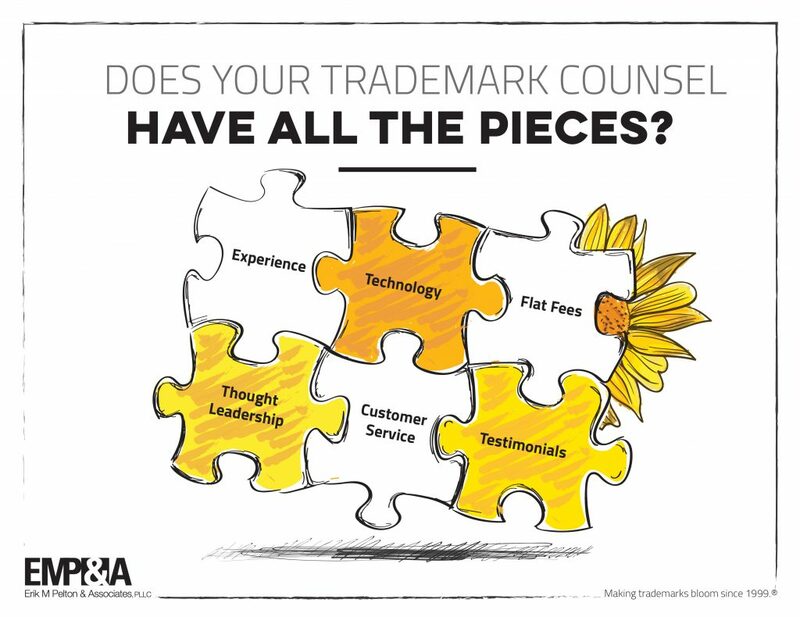 Does your trademark counsel have all the pieces? Experience: How long? How in depth? Technology: Do you use a platform to docket deadlines and track the status at the USPTO automatically? Have you built software or apps for clients and other to use? Flat fees: Is the total cost predictable? Will I be charged by the hour? Will I be charged for your time if I have any questions? Thought Leadership: Have you spoken and written and engaged with others on trademark topics? Or do you practice in a silo? Where can I learn about your speaking and writing experience? Customer Service: Who will I be dealing with during this process? How large is your office? How long should I expect to wait for a response if I have a question by phone or email? Testimonials: Do you have reviews and testimonials from past clients to share?